You are currently browsing the tag archive for the ‘bookclub’ tag. I feel I’ve been neglecting the blog 😦 I read at my usual pace and I also go on commenting on other people’s blogs, but I now have a five-book backlog, which never happened before. I think the blog fills an important gap when at work I’m not being challenged enough intellectually and creatively. It keeps my sanity and energy levels up, but it also means I tend to neglect it when things in “real life” are going really well, as it’s happening now with my new job. Still, I’ll try to be better at it while at the same time ensuring it doesn’t become a chore. 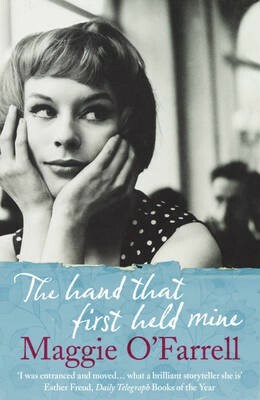 The book follows two story lines: in the 50s, 21-year-old Lexie meets a mystery man who changes her life forever. He’s the editor of an art magazine and because of a note he writes to her, Lexie moves to London and finally takes the plunge into the exciting life she always wanted to have. She is here, she’s in London: any minute now the technicolor part of her life will commence, she is sure, she is certain — it has to. About 50 years later, we meet Elina, a painter who nearly dies giving birth to her baby boy. This event has a great impact in her physical and mental health, but just as her life is coming back to normal, her boyfriend Ted starts having intriguing flashbacks to his childhood. What binds these two stories? I got hooked into the story very early on, but wished some events were approached a bit more deeply – certain things kept nagging me. For instance, would Felix, a dashing BBC reporter, not recognize a Jackson Pollock if he saw one hidden behind a dresser? How likely is it that Elina, a new mother severely weakened by a horrific experience of labour, would be left to take care of the baby by herself? Why does Elina’s mother not jump for joy when her estranged daughter suggests visiting her with her new-born grandson? Could vile Margot really have trapped Felix, especially when there were no children involved? Although I effortlessly started to cared about some of the characters (Innes was a great one, I wished he had stuck around more) the novel’s power was diluted by a weak characterisation of secondary people, who could have been much more compelling if they had been given some texture. Vile Margot’s mother, Gloria, was described as pure evil. Felix was just too much of a shallow cad. (Or was he? We have to take Lexie’s word for it.) And did the plot really need Robert Lowe – couldn’t Lexie have gone to the beach by herself? However, despite the weakness of many of the men in this novel, I really liked the two female leads, Lexie and Elina, unconventional in their own ways, strong and self-reliant women who ‘just got on with it’ and are connected by a love of art. It’s easy for me to like characters who love art, just like those who love books. Innes’s flat is no longer a flat, at first glance, it is unrecognisable, fifty years on. But the door jams are the same, the window fastenings, the light sandwiches, the ceiling coverings. the raised grain of his wallpaper is just discernible under the awful lilac paint that has been daubed on the wall. there is still the loose board on the landing, which always tripped people up, now covered with beige carpet, and no one who lives here now knows that under there, still, is a spare key for Elsewhere offices. When O’Farrell deals with the early days and months of motherhood, the feel of a baby’s tense body in one’s arms, a rare moment of serenity shared by new parents, she was also considered spot on by my bookclub friends who are mothers. The dying scene on the beach, on the other hand, was more contentious. Deeply moving for some, like me, but rather sugary for others. This is my first Maggie O’Farrell, but I have The Vanishing Act of Esme Lennox in the TBR. Opinions over which of hers was the best were divided at the bookclub – any opinions? 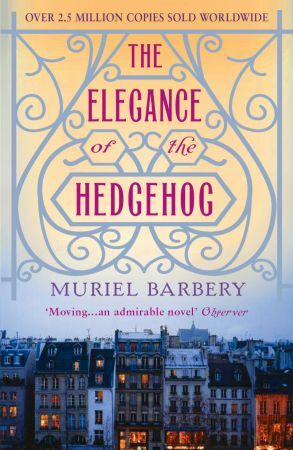 “The Elegance of the Hedgehog” isn’t strong on plot, in fact, nothing really happens at all until the last 50 pages. Even the entrance of the Handsome Stranger comes very late in the story. Until then, it’s all about the first-person musings of the two main characters. I’m rarely willing to read only meditations for chapters on end, but it’s different when the characters are so interesting. There are only two narrators: Renée Michel and Paloma Josse. They both live in the same luxury apartment building in Paris, but Renée is the middle-aged concierge and Paloma is the 12-year old daughter of one of the tenants. Renée is a closeted intellectual. Over the past decades she cultivated a careful persona of low-class stupidity. She uses little tricks that fool everyone around her because (and this is a big theme in the book) no one is really looking. She buys delicate food and bags it below the junk everyone expects her to eat (which she then feeds to her cat) and she leaves the TV on in her living room while she retires to the back room to read a good book or watch art cinema. Paloma is a gifted kid who no one understands. In a way, she’s a closeted intellectual too, because in her family it’s her sister who’s “the smart one” as well as “the social one”, while Paloma likes quiet and solitude. She’s not a happy kid and has decided – very rationally, with no fuss – to set her apartment on fire on her 13th birthday (while making sure no one is home), and then kill herself. Both narrators rule over alternated chapters, consisting mostly of their thoughts on books, beauty, art, camellias, grammar, the people around them, and philosophy (the real stuff, quoting Kant and Descartes). Around these complex mental lives, the building’s other inhabitants behave in their usual snobbish and generally superficial way, with occasional glimpses of humanity. It becomes very interesting and slightly voyeuristic to see their comings and going trough the eyes of an intellectual concierge and a sharp 12-year-old. All is business as usual at 7 Rue de Grenelle, when a mysterious Japanese man buys one of the apartments. He immediately sees through Renée’s façade (a careless Tolstoy quotation on her part – great scene) and makes friends with Paloma. He’s a disruptive element to the whole building, but in particular to the quiet lives of our two heroines. We even get to see some lovely makeover moments, which I’m always partial to. There’s so much to be discussed and analysed in “The Elegance of the Hedgehog”, but in my not so humble option it’s mainly about seeing beyond the apparent, or as Renée says, to “go deeper”. As a reviewer said, this book it’s “the ultimate celebration of every person’s invisible part.” I love people, I like watching them and am constantly surprised by their peculiar interests and habits. The small things are the best, like my company’s accountant’s passion for tango or my old neighbour’s obsession with growing the perfect cherry tomato. It makes people real and you do see beyond. I wish I could have read it in the original. There’re lots of references to grammar and language that I’m sure would have much more meaning in French, or even in Portuguese (similar rules), but the English edition was a birthday gift. 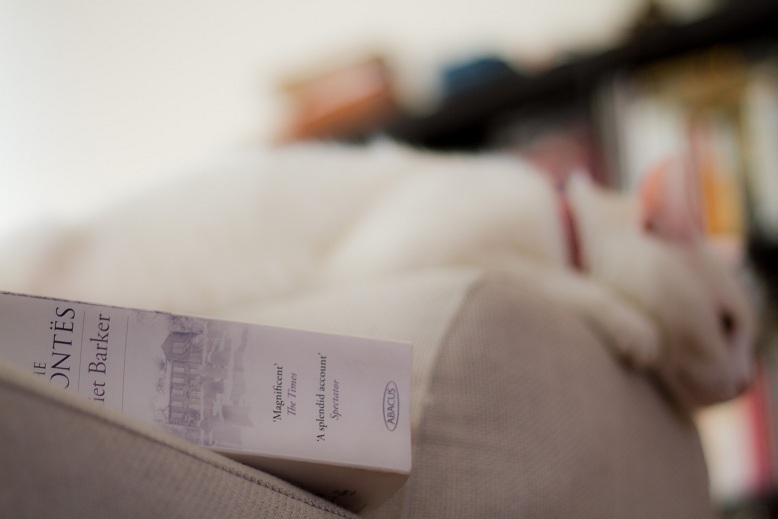 At the cost of going into stereotypes, I found it a very French book… in a good way. Subtle, quirky, satirical but filled with deep reflections on Life, the Universe and Everything else. 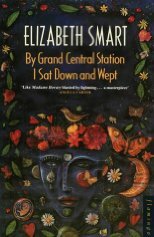 Do you usually go for this type of literature – slow/no pace and much musing? I’m a plot-girl myself, but this year’s no-plot books have been surprising me. [Paloma] If you want to understand my family, all you have to do is look at the cats. Our two cats are fat windbags who eat designer kibble and have no interesting interaction with human beings. The only purpose of cats is that they constitute mobile decorative objects, a concept which I find intellectually interesting, but unfortunately our cats have such drooping bellies that this does not apply to them. My mother, who has read all of Balzac and quotes Flaubert at every dinner, is living proof every day of how education is a raving fraud. All you need to do is watch her with the cats. She’s vaguely aware of their decorative potential, and yet she insists on talking to them as if they were people, which she would never do with a lamp or an Etruscan statue. [Paloma about Renée] Madame Michel has the elegance of the hedgehog: on the outside, she’s covered in quills, a real fortress, but my gut feeling is that on the inside, she has the same simple refinement as the hedgehog: a deceptively indolent little creature, fiercely solitary – and terribly elegant. In August 1974, a Frenchmen called Philippe Petit illegally stretched a cable between the top floors of the World Trade Center Towers. He then walked the distance separating the then two tallest buildings in the world. Below, New York stopped to watch him, and people connected as only strangers in the city can connect. “Let the Great World Spin” is about a group of very different people who interact during that surreal day and how those moments influence the rest of their lives. Each chapter is dedicated to one particular character, among them the conflicted Irish priest who defends the cause of the Bronx’s prostitutes, the first hackers working on the ARPANET and the married couple in the “Studio 54”-type scene. Each is part of the others’ lives, but sometimes the connection is so subtle that you really need to be paying attention to spot it. 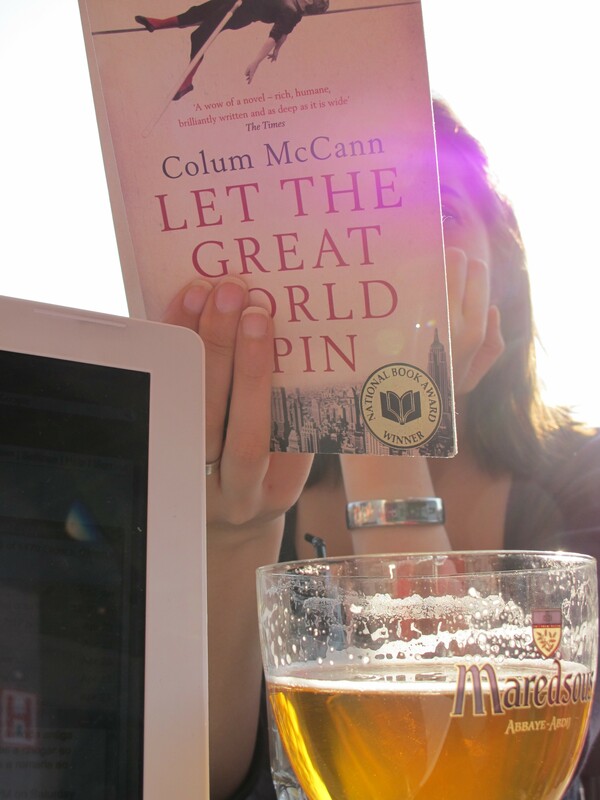 I’ve read enough books to know how very rare it is to find a writer that can pull off believable distinctive voices (you know, not just slang vs. Oxford English, but the use of language by different personalities), so I was able to appreciate the human mosaic which Colum McCann created with this book. I also felt that New York City was a character in its own right. McCann recreated the mood of the place and time so vividly, that I’m not surprised that a film adaptation is already “in development”. 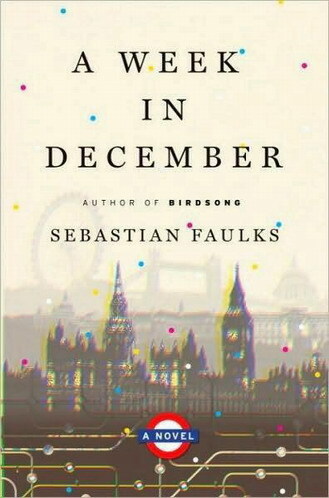 It was one of the best reads of the year so far. One of those rare books which is a pleasure for the story and for the way it’s written. The ones that had a bigger impact were The Uncommon Reader and Agnes Grey. What would happen if the Queen of England became a fierce book-lover? One normal day Her Majesty stumbles upon a mobile library in her backyard and that event triggers major changes in her household and country. She becomes curious, inquisitive and – most dangerous of all – … a Free Thinker. Here I wondered if this is what happens to a lot of people when, having read little or no classic lit, are asked to tackle Dickens and Homer at school. I honestly think that’s what put me off poetry for ever (except lyrics!). 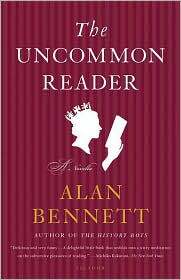 The Uncommon Reader is British humor at its best: witty and lots of great inside (bookworm) jokes. Best read with a nice cuppa. Agnes Grey – why hasn’t BBC adapted this one?! I’m a proud member of the Bronte Brussels Group and their 19-century bookclub. 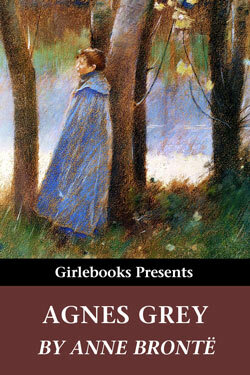 I haven’t read all the sisters’ books, and Agnes Grey was actually my first Anne. I pulled it up in my priority list because the bookclub has recently read Elizabeth Gaskell’s “The Life of Charlotte Bronte” and once again felt, that for a book about the family, Anne always seems to be in the background. The same happened after reading “The Bronte Myth”. Me being sucker for the ugly ducklings, I needed to know more about her. Agnes Grey made Anne Bronte my favorite sister. I sometimes get a bit put off by the melodrama in Charlotte and Emily’s writing (crazy wife in the attic! Kathy’s ghost! ), so Anne’s realism was a joy to read. She was herself a governess for many years, and not a happy one, so it’s easy to image some of the episodes in the book really happening. It also seeps throughout the novel Anne’s (and Agnes’) great love of Home, how she suffered when away from the moors and how the idea of them helped her get through the worst times. One last though: Agnes’ experiences in her different positions is a strong reminder that infuriatingly spoilt children are common to all centuries (My Super Sweet Sixteen, anyone? ).